Hernando Planells (Coach H) has experienced it and teaches organizations how to use the same mindset that world-class actors and athletes use to perform consistently at a high level. One of the world’s most well-traveled and experienced coaches, Hernando has built a career and reputation on constructing teams and working with them to unlock their inner potential. He has spent the past 15 years working with some of the best athletes and actors on the planet (including Adam Sandler). 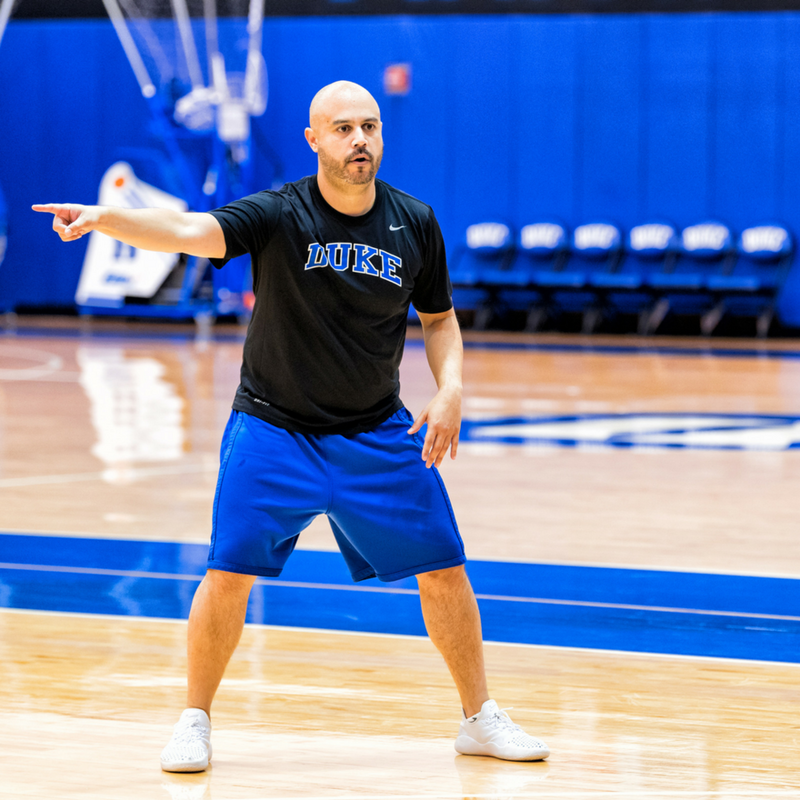 Now the Associate Head Women’s Basketball Coach at Duke University, he founded Be Contagious with the mission of helping organizations grow and strengthen their leadership, communication, and culture through the power of improvisation. Coach H also hosts the Be Contagious Leadership Experience, a highly-rated podcast where his conversations with thought provoking guests share thoughts and experiences pertaining to leadership and inspiration! Hernando is more than just a speaker. He is a coach, an instigator, and an influencer - delivering engaging improv based talks that will give your employees, student-athletes and leaders the tools to be successful. This interactive approach will help your people lead, communicate, manage conflict and grow a winning culture immediately! Stop sitting through lecture learning that only promotes fatigue and complaints – become engaged, motivated and inspired by ABC!